This chapter offers an analysis of the Cotton case, including the internal process in Brazil to enable the country to adopt countermeasures against the United States. 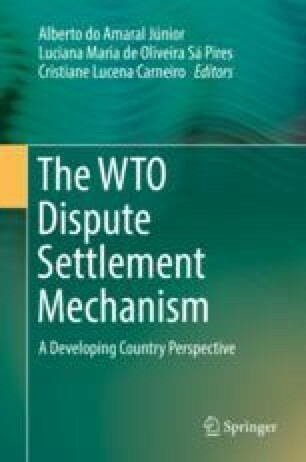 The first part of the chapter seeks to present the main aspects of the WTO proceedings, from the results of the original panel through the conclusions of the arbitration that decided on countermeasures Brazil was entitled to adopt. The second part describes the process that took place within Brazil to make sure it had the necessary tools to impose trade retaliation against the U.S. or credibly threaten it, a process which eventually led to negotiated settlements. In memory of Bruno Guerra Carneiro Leão.